Visual Studio Code>Programming Languages>AtoolSoftware APL Macro LanguageNew to Visual Studio Code? Get it now. 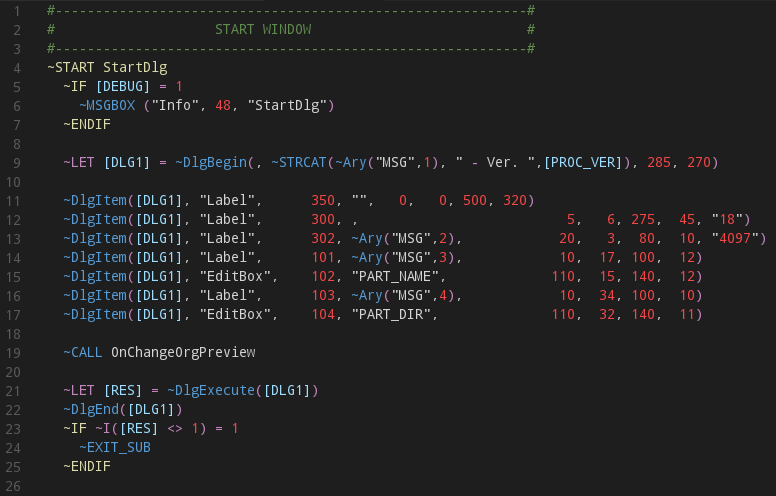 Syntax highlighting for ATool Software PARTNER/ASPAN and TOOLCAM Macro and Post-Processor programming language (APL) .mac, .pcs files. To execute APL Macros it is necessary a valid installation of PARTNER/ASPAN, TOOLCAM (with macro additional module) and MARS. NOTE: This is a personal project, to be considered as an unofficial extension and is not directly supported by ATool Software. Minor fixes for syntax highlinting.